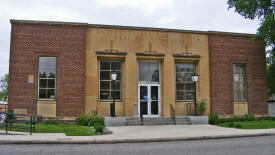 Do you have photos, historical accounts or other items pertaining to the Morris area? Would you like to share this historical information with the world? LakesnWoods.com would like to publish your Morris photos (current or historical) or historical accounts on this website. Original materials can be returned and your privacy will be respected. 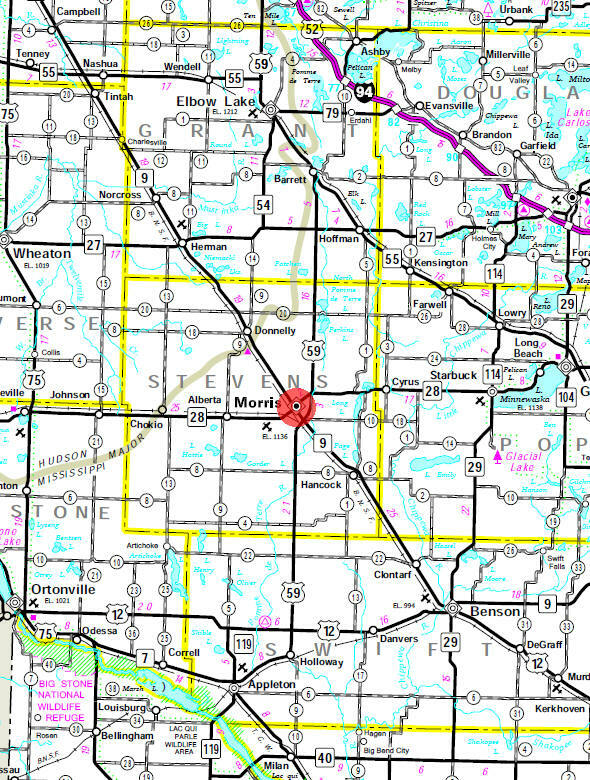 Morris is a city in and the county seat of Stevens County, Minnesota. Lake Crystal is in the southwestern part of the city; the Pomme de Terre River flows through the city's eastern extremity, U.S. Highway 59, Minnesota Highway 9, and Minnesota Highway 28 are three of the main routes in the city. 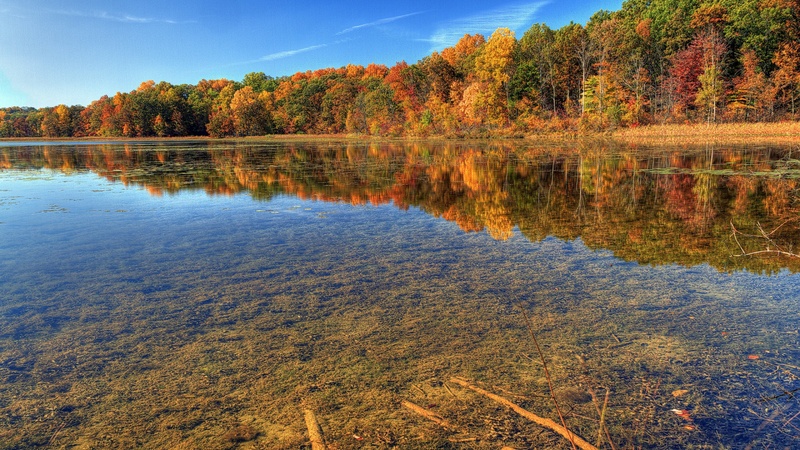 According to the United States Census Bureau, the city has a total area of 5.02 square miles (13.00 km2); 4.80 square miles (12.43 km2) is land and 0.22 square miles (0.57 km2) is water. The elevation is 1,132 ft (345 m) above sea level. As of the census of 2010, there were 5,286 people, 1,986 households, and 1,021 families residing in the city. The population density was 1,101.3 inhabitants per square mile (425.2/km2). There were 2,199 housing units at an average density of 458.1 per square mile (176.9/km2). The racial makeup of the city was 90.9% White, 1.3% African American, 1.5% Native American, 2.5% Asian, 0.1% Pacific Islander, 1.1% from other races, and 2.6% from two or more races. Hispanic or Latino of any race were 3.2% of the population. There were 1,986 households of which 23.6% had children under the age of 18 living with them, 41.7% were married couples living together, 7.3% had a female householder with no husband present, 2.4% had a male householder with no wife present, and 48.6% were non-families. 35.9% of all households were made up of individuals and 16.4% had someone living alone who was 65 years of age or older. The average household size was 2.23 and the average family size was 2.87. The median age in the city was 26.5 years. 17.7% of residents were under the age of 18; 30.8% were between the ages of 18 and 24; 17.4% were from 25 to 44; 18.1% were from 45 to 64; and 16.1% were 65 years of age or older. The gender makeup of the city was 46.6% male and 53.4% female. 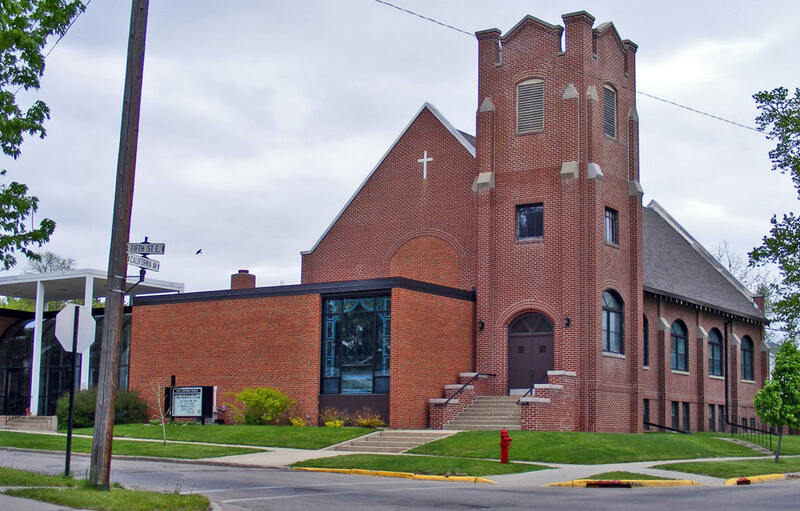 MORRIS, a city in Morris and Darnen Townships and the county seat, platted in 1869, incorporated as a village February 21, 1878, and as a city in 1902, was named in honor of Charles A. F. Morris, who was born in Ireland in 1827 and died in Excelsior, Minn., June 2, 1903. He came to the United States in 1849 and to St. Paul in 1854; was connected with the engineering departments of several railroads, among them being the Manitoba and the Northern Pacific; removed to Oregon but a few years later returned to Minnesota and resided in Excelsior. 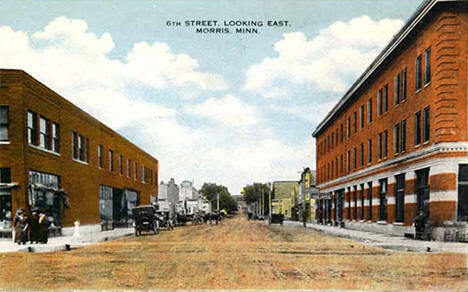 The city became the county seat on February 3, 1872. It began as a tent town following the arrival of the Great Northern Railway and Northern Pacific Railroad; the first building was postmaster Henry B. Wolff's general store, where the post office was established in 1871, moving from John B. Folsom's farm at Pape de Terre (1870-71). 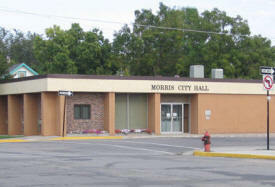 The city is the site of the University of Minnesota at Morris. 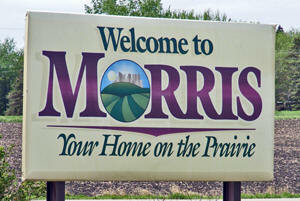 Morris Township was organized on January 11, 1873. 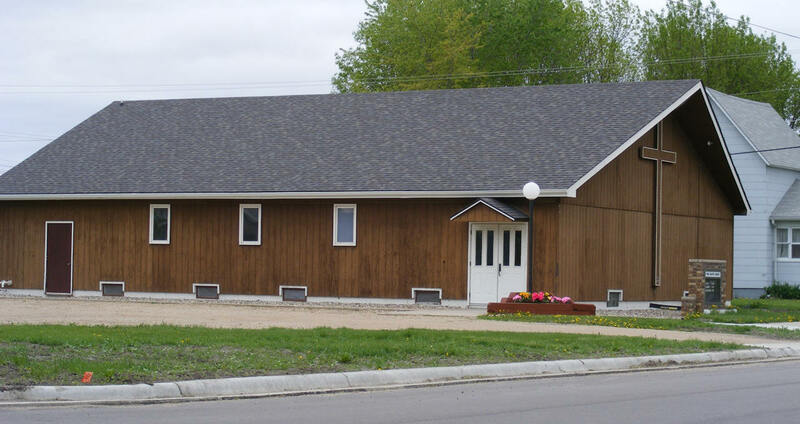 The Prairie Renaissance Cultural Alliance is a grass-roots non-profit organization that serves the cultural life on the prairie. In our gallery/gift shop on main street we present the work of regional artists and artisans--paintings, pottery, handblown glass, jewelry, unique clothing, and more. Since its beginnings in 1922 – and even back to the Old Settlers Association, founded in 1876 – the Stevens County Historical Society has worked diligently to collect the best examples of historical artifacts of life on the prairie. 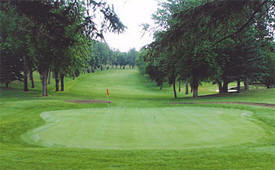 Whether an avid golfer or a beginner, Pomme de Terre Golf Club is sure to be a challenge. From the original holes laid out in 1923 to the new holes that opened September 2007, this course is full of demanding shots. 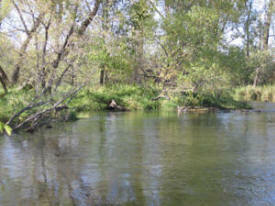 Offers camping facilities on the Pomme de Terre River. 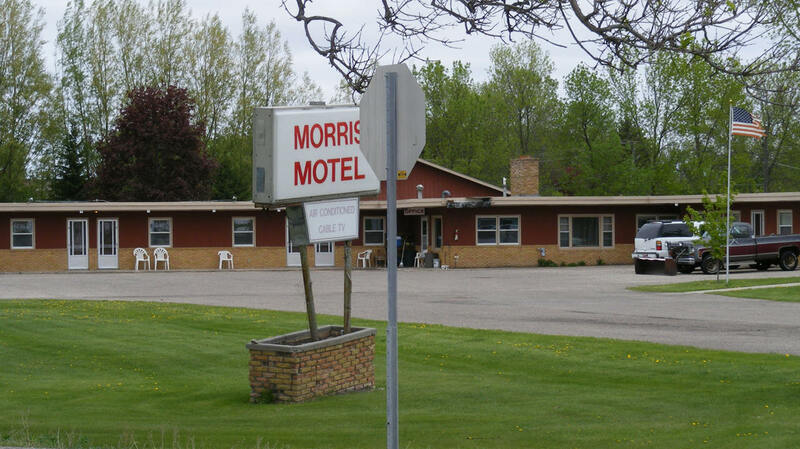 Located just east of Morris on City Rd. 10. This park also offers a Frisbee Golf Course and Water Spray Park. Check these fun activities out. 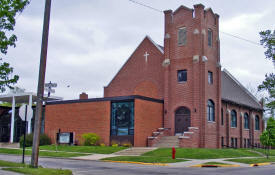 St. Mary's School is a K-6 elementary school. It is the mission of St. Mary's School to provide our community an opportunity for a Catholic Christian education and environment which promotes spiritual and intellectual growth in a family oriented setting. One of the top public liberal arts colleges in the nation. As one of five campuses of the University of Minnesota, the University of Minnesota, Morris (UMM) offers the best of both in the world of higher education—a small, close-knit campus complemented by the power of a world-renowned research University system. 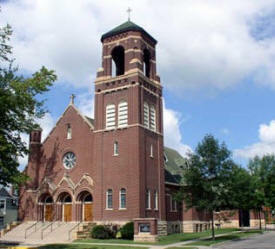 The parish serves over six hundred families and is also the Catholic parish for the UMM community and Newman Center. 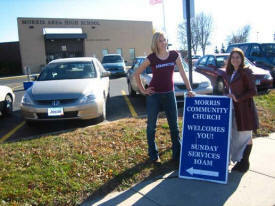 MCC is a vibrant non-denominational congregation in Morris, MN. 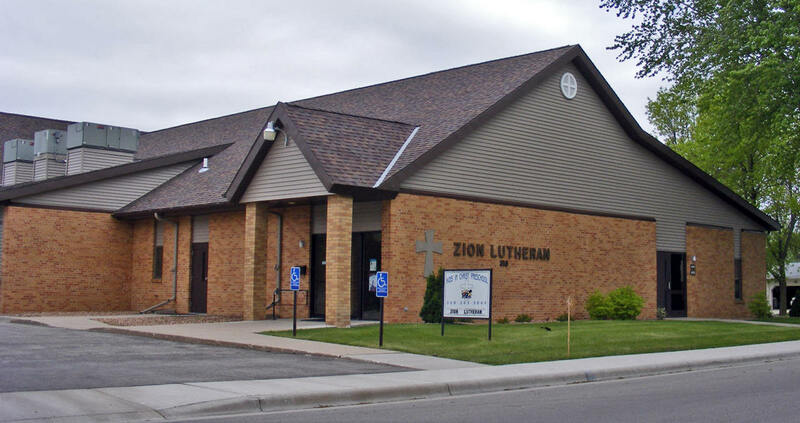 We have an informal, family-like atmosphere with contemporary worship, bible preaching and fellowship. 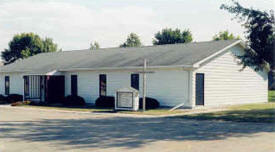 Sometimes referred to as a "New Testament Church", we view the bible as the Word of God and relevant for today. 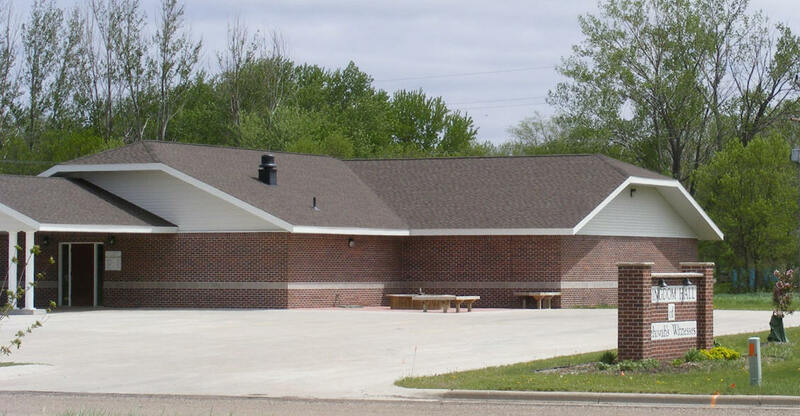 With 100,000 watts of power behind us, KKOK 95.7 FM covers a huge listening area in West Central Minnesota bringing you the very latest in music, news and sports. A community newspaper serving Morris and Stevens Counties and the surrounding area. 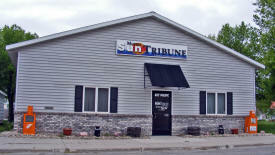 The Morris Sun Tribune publishes two issues a week: Wednesday and Saturday. Circulation is 3,840. 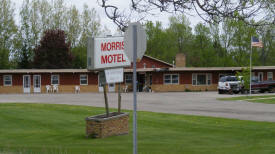 The Best Northland Prairie Inn is the only full-service hotel in Morris. We have 92 sleeping rooms, a full-size swimming pool, hot tub, restaurant, and bar. We offer jacuzzi suites and kitchenettes; wireless internet services is available throughout the hotel. 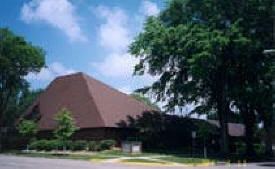 The Ranch House Restaurant and Lounge offer a full salad bar and drink specials. 40 rms, Indoor Pool and Hot Tub, Free Super Start Continental Breakfast, University of Minnesota nrby Jacuzzi Suites w/coffee maker. 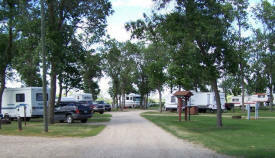 Pomme de Terre has 28 shady camping sites with electricity, plus many tent campsites. There are seven poles with four electrical hook ups per pole at the campground. There are numerous non-electrical sites also.